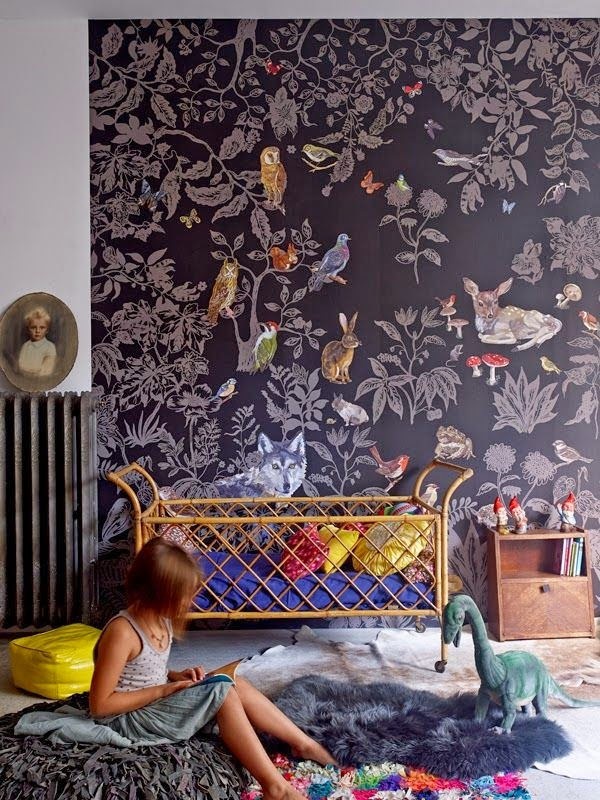 La Maison Jolie: Converting the Guestroom into a Playroom: Design Inspiration! 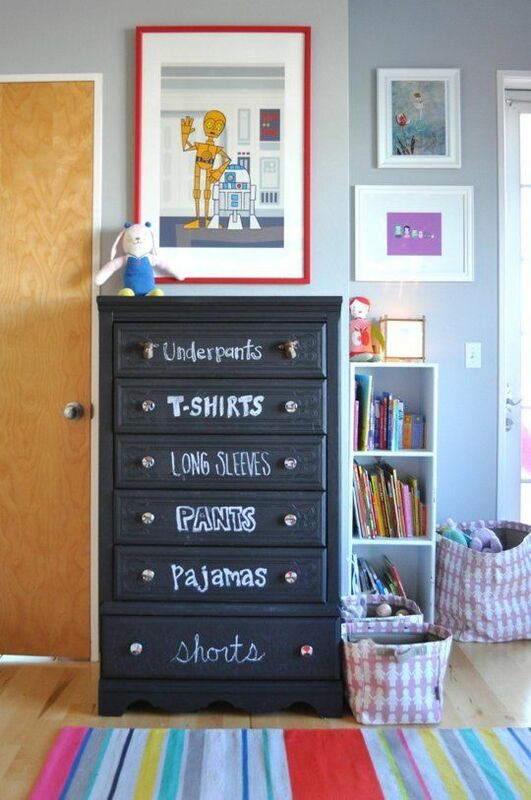 Converting the Guestroom into a Playroom: Design Inspiration! Our beautiful guestroom has gone through a few makeovers in the past five years. However after we received a shipment of antique furniture from my husband's ancestral home, it has been turned into a crazy storage room! The other day when I walked into our 'storage room' looking for something and stubbed my toe on the huge cartons I thought to myself 'enough is enough'! I stomped off ... a woman on a mission! I just had to clear that room, I had to get my beautiful guest room back! In the middle of that night while rocking my baby girl to sleep, inspiration struck! Since we are on the multi-tasking bandwagon and after the birth of our baby, I feel as though every room in our home is multi-tasking along with me, what if the former guest room was turned into a much needed study nook/ sometimes guest room but mostly playroom? My daughter has just started to stand and walk and enclosing her in a tiny playpen seems slightly inhuman! This would be the perfect solution. I could get my work done in the study section while Elie can crawl/ stand/ walk! Except the nursery all the rooms in our house have neutral walls. And I quite like white walls. They are easy to decorate and change. 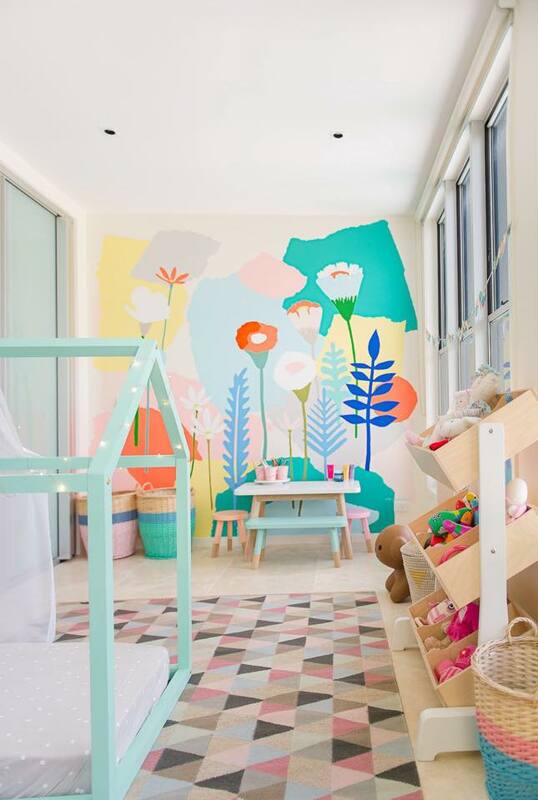 However for the playroom I do want a Scandinavian colour palette with a modern twist. So I'm putting together a few ideas for my Multi-Purpose Room, my MPR! 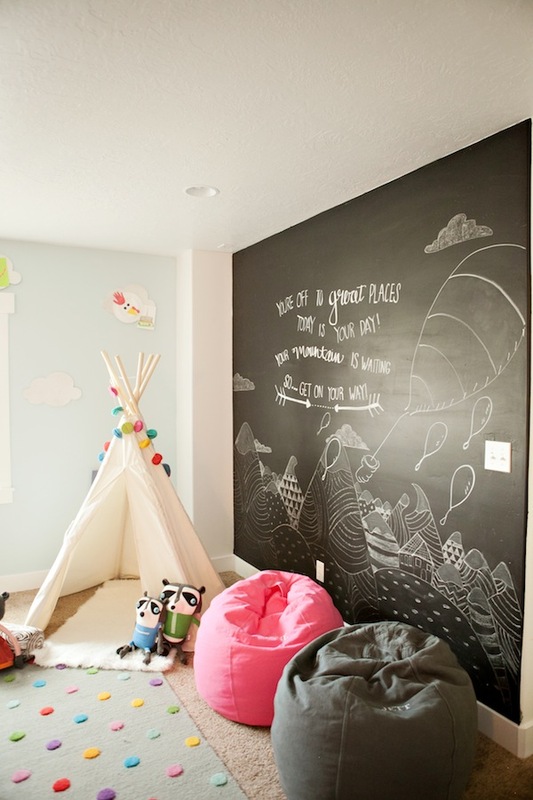 A chalkboard wall with a twist! I'm excited to clear out the room and turn it into a beautiful usable space!